School children formed a solemn guard of honour in tribute to a young victim of the St Patrick’s Day party crush as a day of funerals began. 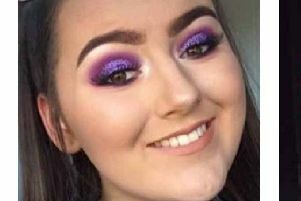 Hundreds attended St Patrick’s Church in Dungannon, Co Tyrone, to say farewell to 17-year-old Morgan Barnard, who died in the tragedy outside a hotel disco in nearby Cookstown on Sunday. Morgan’s family, who said the teenager brightened people’s lives with his humour, had encouraged friends and family to wear Hawaiian shirts or sports tops to the service. Pupils from schools in Dungannon and Cookstown took part in the guard of honour. On a solemn day for the county, funerals are also being held on Friday for the other two victims of the queue crush - Lauren Bullock, 17, and Connor Currie, 16. The leader of the Catholic Church in Ireland, Archbishop Eamon Martin, addressed mourners as Morgan’s requiem mass began. He said: “Words fail us at times like this. All that really matters, and makes a difference, is love and friendship and compassion. “And only faith can dare to speak into the darkness of these days to offer a glimmer of light and hope in this valley of tears. “Here in Co Tyrone this week - as families, parishes, schools and communities - we’ve been circling each other around with love and faith and kindness and compassion. “The shocking events of Sunday last have reminded us that life is very fragile; we need to cherish every moment and always look out for each other, and keep each other safe. “Thank-you all for being here today to offer your prayerful presence and support. In his homily, Father Aidan McCann said it was an understatement to say Morgan was well-liked. “He was a vivacious, charismatic and energetic young man who nobody had a bad word to say about,” he said. “Morgan was a person of character who had a great sense of humour with an abundance of wit - always a smile on his face. “You could never pass him on the corridor in school, and no doubt anywhere else, without getting a warm look or a quick joke as he passed. “Morgan had a strong personality and didn’t care too much about the opinion of others, revealed in his various hairstyles or indeed lack of hair, hair colours and his flamboyant choice of shirts. “He was constantly breaking his glasses and his mother was constantly having to buy him new school shoes as he wore them out playing football. 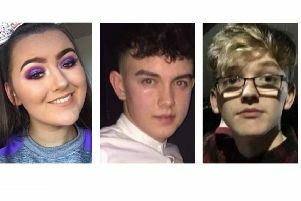 A funeral service for Lauren is also taking place on Friday morning, at St Patrick’s Church in Donaghmore, while Connor’s funeral will be held in St Malachy’s Church, Edendork, at 2pm. Michael McElhatton, 52, who owns the Greenvale Hotel where the deaths occurred, was arrested earlier in the week on suspicion of manslaughter. He was subsequently bailed to return for further questioning in future. A 40-year-old man also being questioned on suspicion of manslaughter remained in police custody for questioning on Friday morning.